Coinsilium is delighted to invite shareholders and investors to a special showcase event and panel session featuring a selection of its portfolio investee companies as well as its advisory clients. Coinsilium will be facilitating a panel session entitled "Demystifying the Global Token Economy" which is designed to provide investors with some insight into exactly what's going on in the burgeoning global Token Economy and why the team at Coinsilium are so excited about what the future holds for the Company and shareholders in this fast moving industry. Eight Capital Partners (ECP) is investing £250,000 in AIM-quoted Imaginatik (IMTK) with £160,000 subscription for shares at 1.1p a share for a 29.7% stake, and £90,000 in convertible loan notes with an annual interest rate of 7.5%. Eight Capital is issuing up to £2.5m of convertible bonds at 95% of their nominal value. The annual coupon is 5%. One warrant will be granted for every two shares issued. 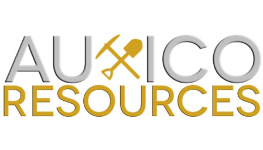 Auxico Resources Canada Inc(AUAG) is a Canadian dual-listed precious (gold and silver) and base metals (coltan) company engaged in the acquisition, exploration and development of mineral properties in Colombia and Mexico. Auxico has a 100% interest in the Zamora Silver-Gold Property (“Zamora Property”), which is located 85 km southeast of the city of Culiacan and some 9 km northeast of the village of El Espinal in the state of Sinaloa, Mexico. Set up more than 15 years ago, Good Energy (GOOD) is a fast-growing green energy company, generating and selling 100% renewable electricity to homes and businesses across the UK, all wrapped up in great customer service. Its mission is to support change in the energy market, tackle climate change and boost energy security. Good Energy has consistently been ranked first or second in Which? energy company customer satisfaction surveys for the past four years. The company invests in renewable energy including wind, solar, hydro and tidal. Senasen, a new solution for investor relations was launched in London on September 17th. It brings together companies and investors through a secure and easy to use digital platform. As the impact of MiFID II becomes clearer and investor appetites evolve, Senasen provides a unique solution. It allows companies to share their value-creation stories, post their most compelling IR content, and interact directly with current and potential investors. Senasen founder, Blair McPherson said ‘If facebook is for your friends, Twitter is for your opinions and LinkedIn is for your career – then Senasen is for your investors’. Senasen is now open to UK users, but has global ambitions and will be launched in Canada and the US later this year.